The Former Gate (Zhenyang men). Of its true name In front of Sun Gate, it was set up at the beginning of XVth century and controlled the way of the temple of Heaven. 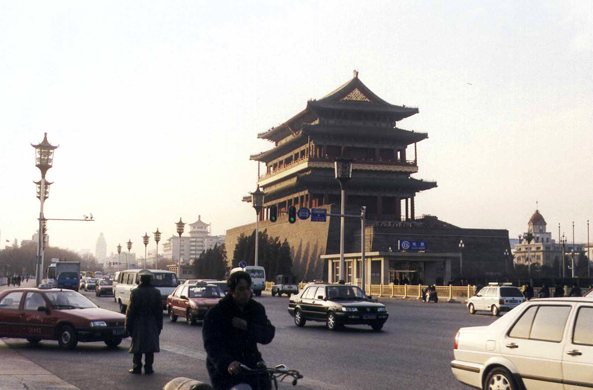 It is the only gate of Beijing completely preserved with its two bastions which a curtain relays.